Starcraft replay back in action - diamond league strategy guide coming up! We're back for good this time! Where have we been? Well, most of us have been enjoying the summer but also actually PLAYING Starcraft 2, instead of taking care of this site. Shame on us! But we're back, and we'll make sure to bring you the best SC2 replays as well as high quality SC2 strategy guides. I'm not a good Starcraft 2 player myself, I even think that I'm terrible, my APM is ridiculously low. However, I still reached the Diamond leagues a while ago and even managed to rank in the TOP 10 for a while. And it's mostly because I've studied the game quite well and know a few tricks to win against better, faster opponents. So this will be the topic of my next guide series: SC2 Strategy guides on how to beat faster opponents, which I'm sure will be very helpful to other SC2 players who have low APM like me and still want to beat those high APM players. So stay tuned, a lot of good stuff is coming up! Now is the time for us to announce our 3 winners for last week's SC2 Beta Key Contest. There were 30 participants in total, and 3 of them will be playing Starcraft 2 Beta in a few hours. All the participants were associated with a number from 1 to 30. Congratulations! You're in the beta now! 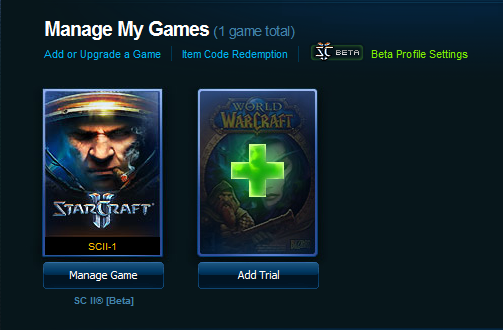 To all the other contestants, don't worry, we'll have more SC2 Beta Key contests in the near future. Keep following us on twitter and you'll be informed as soon as we launch our next contest! Hello everyone! Once again, we've got 3 Starcraft 2 Beta Keys to giveaway! Click on the green RETWEET button at the top of this article and paste this: " Follow @SC2TopReplays for your #Starcraft2 News and go to http://bit.ly/8ZiMKN to win a #SC2 Beta Key - #Starcraft #SC2Beta #SC2Betakey " then hit the Tweet button. Post a comment under this article with a link to your twitter account so that we can verify that you are following us and that you RETWEET'd this article properly. That's it, you're in the lottery! How do the winners get picked? On monday 24th May, we'll have a lottery to decide our 3 winners. WARNING: Duplicate and Fake twitter accounts will cause a disqualification from the contest. Play fair! Just a quick news to let you all know that we're working on an update to enable replay uploads on the site again. The last SC2 Beta patch changed a lot of things, this is the reason why our parser isn't working anymore for SC2 Replays from patch 10. Starcraft 2 Beta Key Contest - Yes, there will be another contest real soon with a few SC2 Beta keys up for grabs. Starcraft 2 Tournament - Starcraft-Replay will soon be hosting a big SC2 tournament, involving current SC2 Beta top players. New exciting features will be added to the site. So stay tuned, and don't forget to follow us on twitter if you don't want to miss anything happening here on Starcraft-Replay. 445 Starcraft 2 Replays have been uploaded. 49 Starcraft 2 Guides have been written. There is still a chance to win this contest even if you only start contributing right now. You still have 48 hours. You only have to do it right. Read theSC2 Beta key contest rules here. 1. QUALITY > QUANTITY. If you upload tons of replays, but they aren't all high quality, and if you don't add an interesting description, people simply won't watch them, and thus won't rate them. This is why we already have members with only 3 replays uploaded who have made more XP than other members who uploaded more than 50. 2. Be helpful on the forums or by writing useful comments. The starcraft-replay staff will notice it, and so will other members. They will be more inclined to visit your profile and check out your replays and guides if they already read something interesting from you on elsewhere on the site. Due to the huge amount of replays, guides and comments being posted since the contest started, the staff alone is having a hard time reading every guide, comment and watching every replay. Thus, we need your help. If you've got a spare minute during the day, look for a guide or replay which hasn't been rated yet, check it out and give it a fair rating. And fair means fair, if a replay is really boring, give it the lowest rating. There's no reason to be "nice" while rating. Just rate what you think is fair. That's the only way our system can work. This would go a long way to help our website take off. Because let's face it, this website can only become great if people watch and rate everything, it's the only way for high quality replays and guides to stand out: ratings. 300 Starcraft 2 Replays have been uploaded. 25 Starcraft 2 Guides have been written. There is still plenty of time to win this contest even if you only start contributing right now. We've got 3 spare SC2 Beta Keys to share with you! The contest rules are very simple. Tuesday 30th march at midnight PDT. It's quite simple really. The top 3 rankers on starcraft-replay.com at the end of the contest will get a SC2 Beta Key each. HOW TO CLIMB UP THE RANKINGS? You just have to gain experience and level up on starcraft-replay.com. Here's a guide on Gaining XP on starcraft-replay! HOW DO I GAIN XP IF I'M NOT IN THE SC2 BETA? You can find great SC2 Replays, watch them and upload them here even without SC2 Beta access. TeamLiquid - There's a thread on TeamLiquid where many top players are posting replays everyday. I suggest starting from page 44, because we've already checked the previous pages. Zota Cups Replay packs - I've put up a lot of replays from the first 3 ZOTA SC2 Beta Cups on our Starcraft 2 Tournament Discussions Forums. I haven't looked through them yet, and I'm sure there are many very good replays in there. You can post useful/funny comments under replays and guides, which can bring you additionnal XP if people rate your comments up. Even if you don't have beta access, you can still write certain type of guides if you watch a lot of replays from top players and have good analysis skills. You can for example find very effective build orders and write a guide out of it. When uploading a replay, make sure to add a description. Don't spoil the game, but at least try to explain why this replay is worth watching. It doesn't take much time but it doubles the chance that people will actually download, watch and rate your replay. Quality > Quantity. That's how our XP system works. If you upload just 1 awesome replay and it gets many positive ratings, you will earn more XP than if you uploaded 20 "Okay" replays. We're proud to launch this new Starcraft 2 Fansite today. We've put a lot of work to make sure that this website will bring everything the Starcraft 2 community needs. I'm Jame and I'll be the lead admin of this fansite. I've always been a huge Starcraft fan since day one, and now that I'm in the SC2 beta, I intend to share as much as I can with the rest of the community, and the best way to do it is through a Starcraft 2 Fansite. What can you expect to find on Starcraft-Replay.com? Of course, we also have an advanced replay search feature, which will allow you to search Starcraft 2 Replays with specific players in it, or specific maps, races, etc. I'm already hard at work writing strategy guides for each Starcraft 2 Races. The guide writing tool on this website is really great, anyone can use it, it's very simple. So if you have strategies or advice you're willing to share with the rest of the SC2 community, this is the place! The same guides for Protoss and Zerg are already in the making, it's a matter of days until I release them, so stay tuned if you like them. And please leave feedback. Starcraft 2 Build Orders - We'll make sure that Build Orders become a very popular guide format here. I already have a few neat build orders to share. Coming soon! Make sure to visit our home page if you don't want to miss any important SC2 News, such as tournaments, new incredible replays and new contests here on Starcraft-Replay.com. There will be SC2 Beta Keys as rewards! This is what we're the most proud of. We've got a really nice community system which I'm sure everyone will love. Every Replay you upload, every guide you write and every comment you post will be an opportunity for you to gain EXP on starcraft-replay.com and to gain ranks, unlock cool avatars, and win prizes such as SC2 Beta Keys! More information about the Starcraft-Replay Ranking System. We're eagerly waiting for your comments, feedback and suggestions to make this website even better.